Many countries recognize October as Breast Cancer Awareness Month. It is that time of year when many organizations strengthen their efforts in raising awareness to support issues associated with breast cancer. 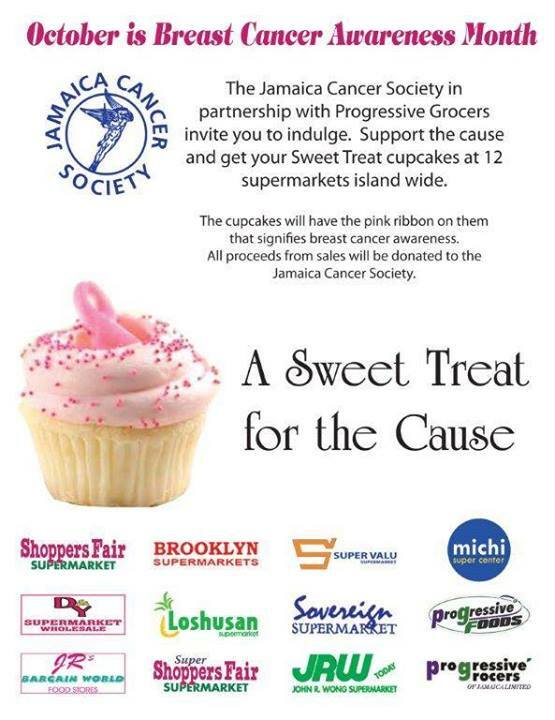 The Jamaica Cancer Society (JCS) is one such non-profit organization that hosts activities to help in the prevention and control of cancer in Jamaica. In October 2013, the JCS hosted a number of special events including screenings, Keeping Abreastâ€ luncheon, a medical symposium, and a 5k run/walk among others. A visit to the JCS’s Facebook page will reveal that many of these events are annual and sometimes held several times throughout the year. With all the many activities going on, one can imagine the task of coordinating the various breast cancer awareness events and mini-campaigns during the month of October. What works for this public awareness campaign is that there is a well-established brand – the colour pink. Closely related to that is the pink ribbon which is an international symbol of breast cancer awareness. So once your event or campaign paraphernalia carried the color pink and/or the pink ribbon, you were automatically seen as part of the breast cancer awareness movement, whether or not you were hosting your event in collaboration with with the JCS. But it would help to work along the JCS to avoid duplication of efforts to ensure that all the seemingly isolated events share a common vision, a single mission, a specific objective. 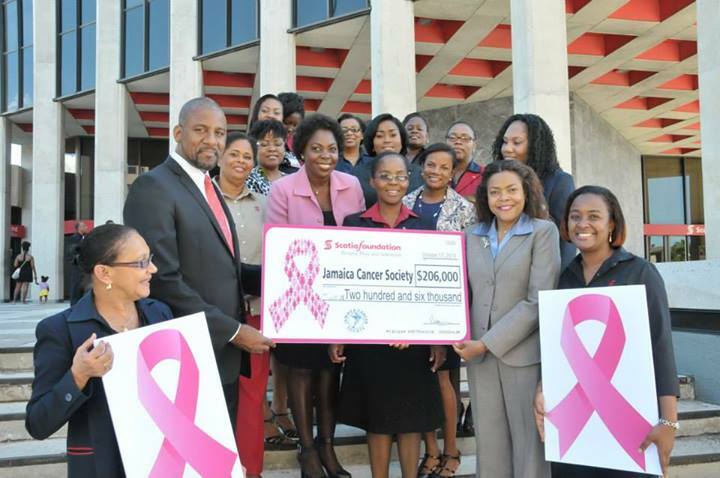 As a bystander looking on all the pink events for October in Jamaica, it would seem to me that the common vision was fundraising.Â It was good to see the targets set: the 5k run/walk held on October 26, 2013 was aimed at raising JA$3 million. But we also saw many mini-fundraising activities – the selling of pins on Pink Day, the selling of cupcakes, donations from the sale of Yoplait. Were these all contributing to the JA$3million target? Or were these separate fundraising initiatives? If so, was there some overall fundraising target? It is interesting that public awareness and fundraising are two elements of the October breast cancer month of activities. The two don’t always go hand in hand though. Raising awareness among individuals doesn’t easily translate into those individuals donating money to support interventions addressing breast cancer. 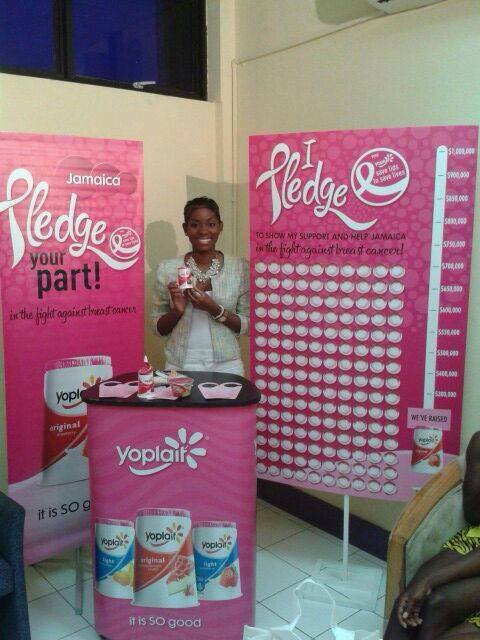 But it was refreshing to see elements of effective fundraising during the pink month: the specific calls to actions. Instead of just a “make a donation” plea, there were calls to purchase a pin for JA$100; buy Yoplait and know that JA$8 will be donated to JCS. 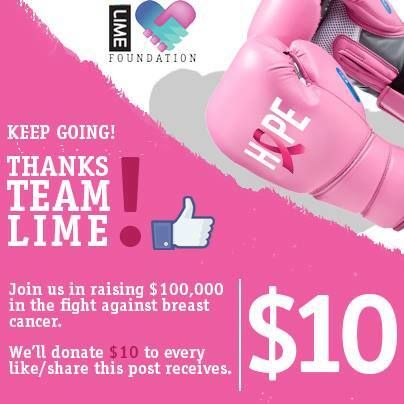 Lime Jamaica, telecommunications service provider, pledged to give JA$10 for every Facebook like/share that a post with the Lime Foundation logo received. 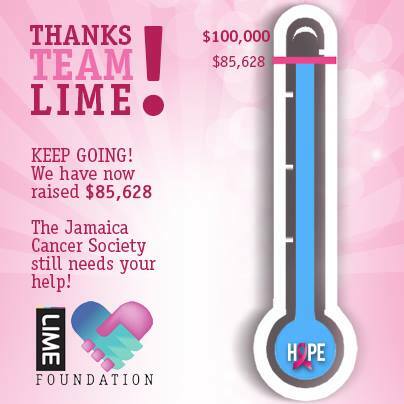 Thanks to this wall photo post on Lime Facebook Page, we learnt that at 7:30pm on October 24, just over JA$85,000 was raised out of the target JA$100,000.00. It would have been nice to hear the status of all the various fundraising efforts during the month so that we could assess if we are meeting the target or if we need to work harder at meeting them. We are still in the month of October and persons can still participate in many of these fundraising efforts. Hopefully once all the events have ended, we will hear about the outcome of the fundraising. Going forward, it would be nice to see more daily or fairly regular tracking of fundraising activities. Maintaining an interest in the awareness of breast cancer and persuading individuals to donate to this cause can be a challenging task. Congratulations to all those who take up the challenge, not only during October, but also throughout the year to keep us abreast. Like this Blog a lot. Of interest to Bloggers, the first time i say a blogger used as a source person was in Oct or 2013. It was Ms. Smith on ER, can you recall seeing that before? Thank you Tomlin. No, I can’t recall seeing that before. Interesting phenomenon to watch.